All the Phillies can offer Bryce Harper is an opportunity to play baseball in front of arguably the most passionate fans in this country and in the best sports town. Every game matters. Every game. It’s a playoff atmosphere from Opening Day on. Some players might not find this environment appealing. To Harper, tightly wound and a perfectionist to his core, this is a perfect fit. His batting practices are a show in themselves. 1. No better sports city than Philadelphia. In that way, Philly sells itself. Best of all, Harper knows this. More on that later. 2. Phillies fans. When the Phils finished first five straight years (2007-2011) in the National League East, they drew more than 3 million fans every year and led the NL in attendance with 3.8 million and 3.7 million in 2010 and ’11. 3. Go ask any player who competed against the Phillies in that era, and they’ll tell you those players and fans fed off one another. Partly because of Jimmy Rollins, Chase Utley, etc., the Phils played with an edge and an anger. 4. In winning the 2008 World Series, the Phillies set off one of the wildest celebrations. When a city has had a moment like that, there’s a hunger for another one. You, Bryce, can be part of something magical. 5. Harper already knows this. He has been booed at Citizens Bank Park, and let’s face it, there are no boos quite as loud as Philly boos. Harper has also watched Phillies fans fill up Nationals Park, treating the place like it was theirs. 6. The Phillies have a history few other franchises can match. They played their first game under that name in 1890. Their greatest players — Mike Schmidt, Steve Carlton, Richie Ashburn, Robin Roberts — will live forever, passed from one generation to the next. 7. To be the face of the franchise for this next great generation of Phillies baseball is a unique opportunity, a chance to be part of the lore of Philadelphia the way Julius Erving, Nick Foles and Bobby Clarke have done in other sports. 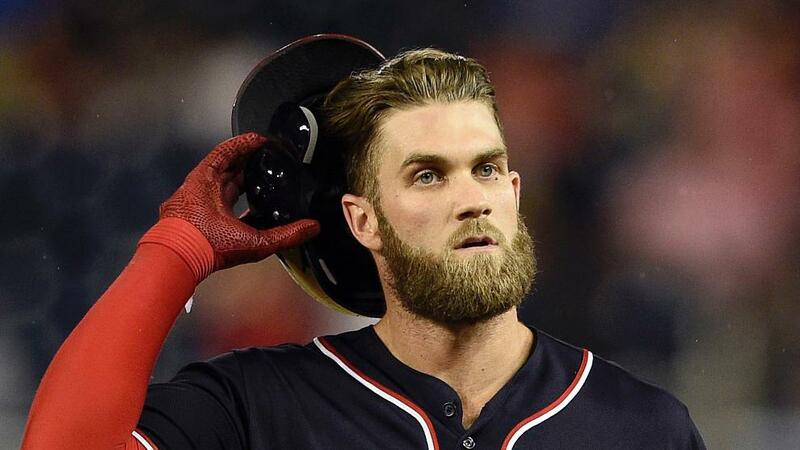 Sure, there are no bad fits for Bryce Harper. For one thing, his arrival makes almost every team a championship contender simply by signing on the dotted line. In the end, this is one of those rare negotiations that probably won’t come down to money. He’s in the position — 26 years old, talent off the charts — to dictate the terms of a deal rather than negotiate them. That’s especially true of the Phillies, who’ve all but announced that they’ll pay Harper or Manny Machado (or both) whatever they want. Give us a number, Bryce. Here you go, write it on this piece of paper. We’ll do the rest. This probably is going to come down to comfort, and that’s where the Nationals have a huge advantage. Harper clearly is comfortable in Washington, loves his teammates and he has a great relationship with general manager Mike Rizzo and the front office. Whether the Nationals re-sign Harper or not, they’ve positioned themselves to win a World Series in 2019. Retaining Harper might make them the NL favorite. Again, there are no wrong answers. Players normally only get one opportunity like the one Harper and Machado have this offseason, and because they’re both 26 years old, they could have a huge impact on the game. So the Phillies will make their pitch and await Harper’s decision. Those will be anxious days. On the other hand, they can rest easy in knowing few franchises — few cities — can offer more.